← Sigma 24-105mm F4 DG OS HSM (C) Released! (still) my trusty companion in photography, the Lowepro Pro Roller X300. 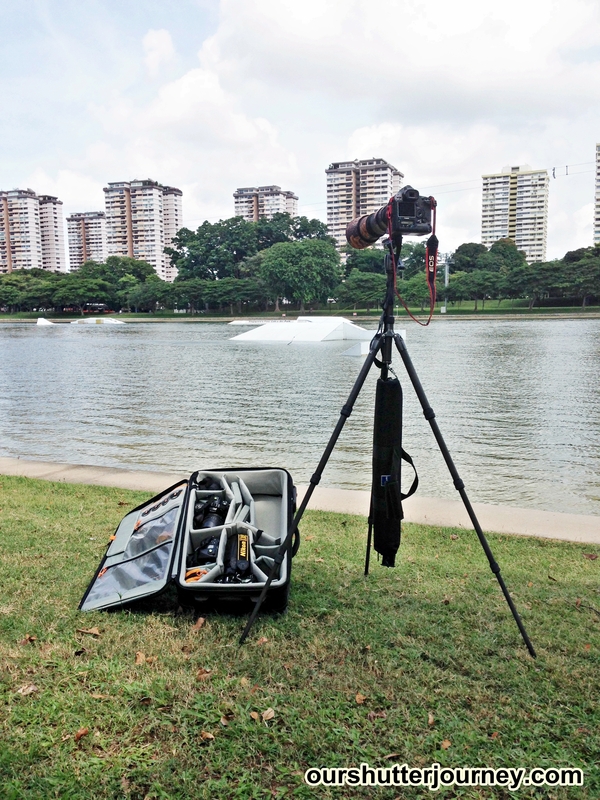 21st October 2013, Singapore – After using the Lowepro Pro Roller X300 extensively for my commercial work, it has been a long while since I use it for leisure. And last weekend, we have a shooting practice for high speed sports photography and I decided to pack a bit more gear than usual. I was trying out some lenses and set up while I am also packing my wife’s equipment as well. 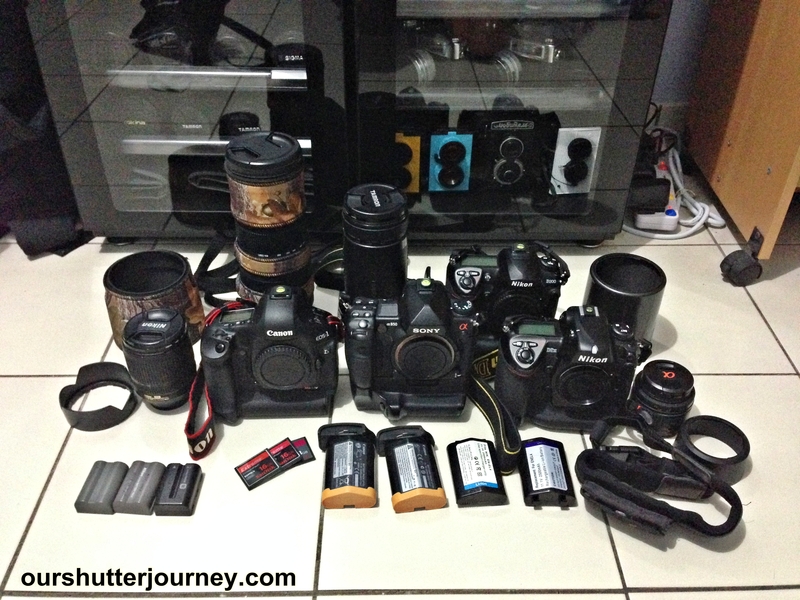 So ended up, I have a long list of equipment to pack. Picture: Gear for the weekend. After everything is loaded inside the X300, I realized I had only occupied about 70% of the space while the other many flaps and compartments around & outside the bag was left untouched. Picture: Everything fits snugly with space for more. While making a “grand entrance” to the practice (I was late), a fellow photographer, Benson Chee shot the below photo. This photo shows a good size ratio for the photographer and the larger-than-life Lowepro Pro Roller X300. While carrying a big load of equipment, the bag still look sleek and not bulky at all. While I was walking beside loads of runners, I do not feel out of place or a misfit. The X300 may be big, but still look very normal at abnormal places where you will not likely to see a trolley bag. Low profile is the key word here. The modern and subtle styling of the Lowepro Pro Roller X300 is a pretty good cover. Photo: Making the Grand Entrance with the Lowepro Pro Roller X300. 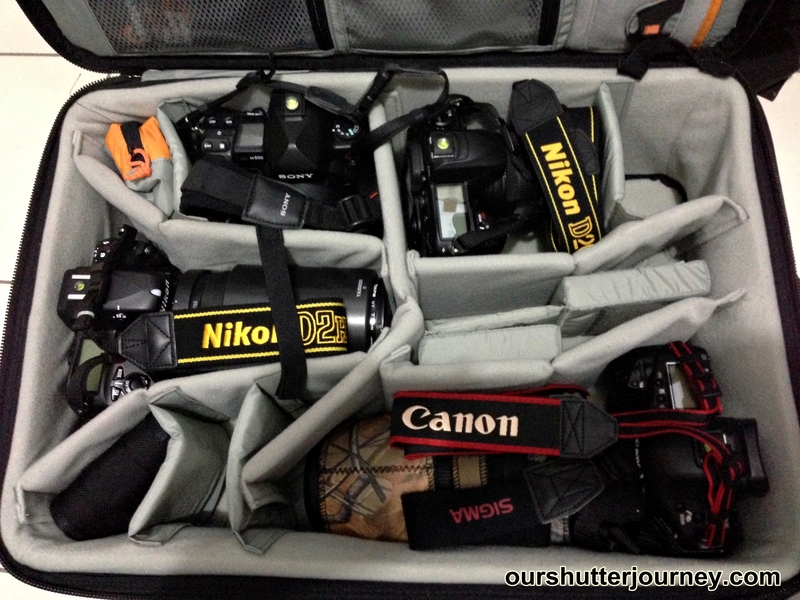 With Lowepro, I am going places. Get yours today from Cathay Photo. Photo: The Lowepro Pro Roller X300 at the field. This entry was posted in Brand: Canon, Brand: Nikon, Brand: Others (Cosina, Carl Zeiss, Leica, Mamiya, Samyang, Vivitar, Zenitar,etc), Brand: Sigma, Brand: Sony, Brand: Tamron, Featured Photography Merchants, Group Test & Reviews, Photography Articles & Videos and tagged Cathay Photo, LowePro. Bookmark the permalink.